Last week I was in Key Largo, Florida working on a new project when my friend Jim Elliot called and said he had an amazing opportunity for me. Jim is the founder and president of Diveheart, a non-profit organization that takes people with disabilities scuba diving. I know when Jim calls with an opening like that, it is going to be interesting. I was right. 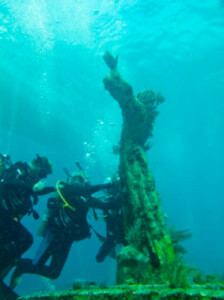 Gabriel Spataro was going to dive on the Christ of the Abyss statue in John Pennekamp State Park. There were two unusual things about this: Spataro is 81 years old and legally blind. 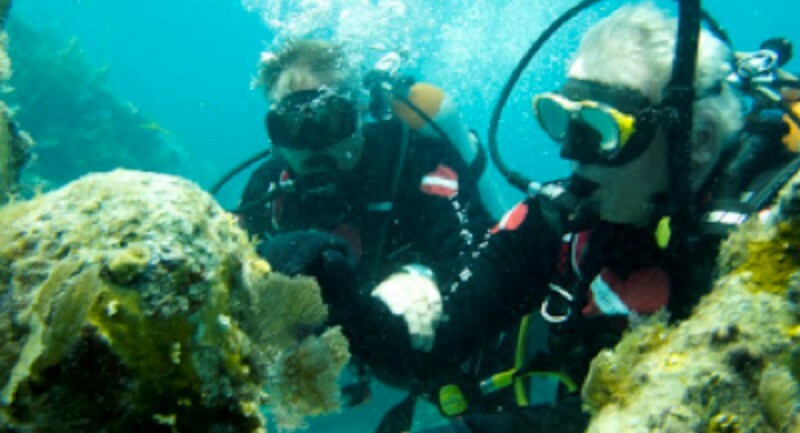 He began diving in 1956 with a group of friends who formed the Illinois Council of Skin and Scuba Diving. Reportedly, John Cronin and Ralph Erickson also came together in his restaurant when they were founding the Professional Association of Scuba Diving (PADI), but that’s a different story. A Korean war veteran, he is now suffering from macular degeneration so he needs the assistance of adaptive buddy divers to dive safely. That is where Diveheart comes in. 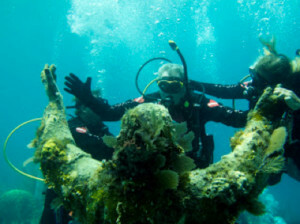 The second interesting part of the story was Gabe was instrumental in bringing the Christ of the Abyss statue to Florida in 1962, but never had the chance to dive on it. Now, 51 years later, he was going to dive on the statue for the first time. You can hear Gabe tell the story himself in the video Gabe’s Story. In early 1962 he was asked to be the chairman of the Underwater Society of America’s convention in Chicago. He found out that the Cressi family was making the statue, the third copy of the 9-foot-tall bronze statue, to send to the United States. Spataro was heading to Italy on a wine trip for his restaurant and met with the Cressis. They told him they were donating the statue, but it was up to him to get it to the United States. Through friends in the shipping industry, Spataro was able to bring it to Chicago from Italy for the convention and then eventually he was able to transport it to Florida. The statue finally found its home in August of 1965. 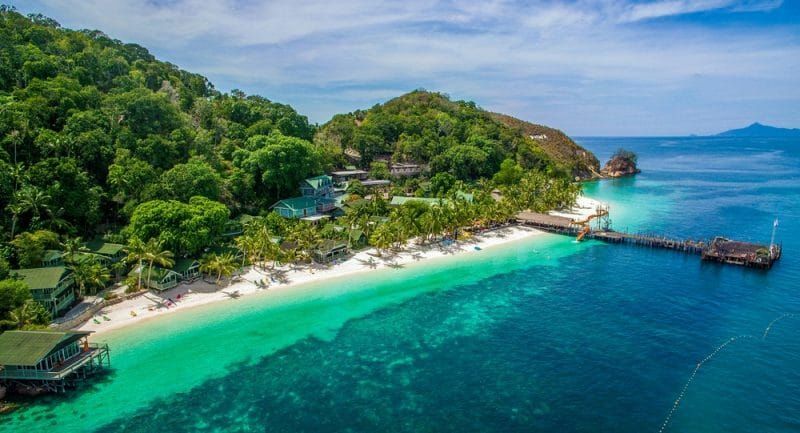 This all happened with no budget, solely on the efforts of volunteers and divers. To make the dive happen, DJ Wood, owner of Rainbow Reef Dive Centersdonated six spots on one of his dive boats. Chuck Baldwin, owner of US 1 Scuba in Pompano Beach, Florida and a Diveheart volunteer, also happened to be a Cressi Dealer so he joined Spataro on the dive and outfitted him in Cressi gear so he could experience the result of his efforts. Baldwin and Wilhelmina Stanton of the Scuba Sirens lead Spataro on the dive and it was an emotional day for him. He spent about 20 minutes touching the statue, feeling the head and holding its hands. 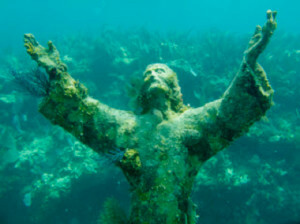 The Christ of the Abyss is often referred to as the most photographed underwater attraction in the world. Every diver who has been to the statue owes Gabe Spataro a debt of gratitude for getting the statue to Florida from Italy. Next Next post: The UK Female Dynamic No Fins (DNF) Freediving record is broken.